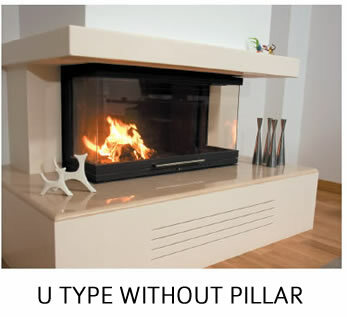 Hursan Fireplace - Why Hursan Fireplace ? 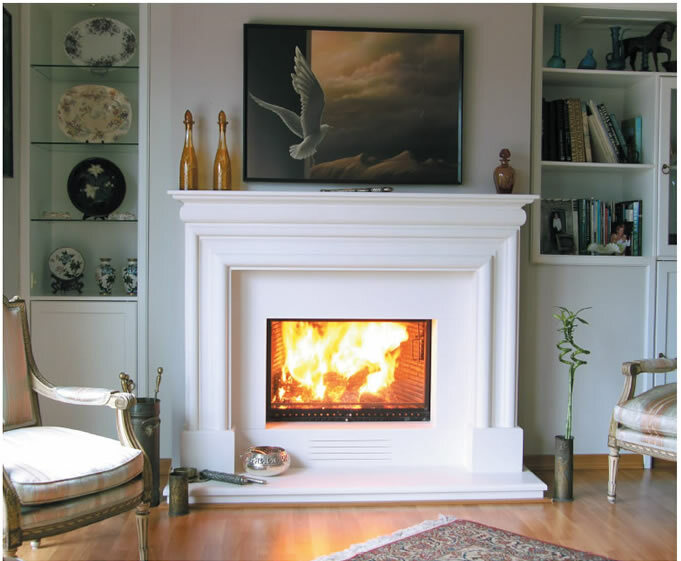 Hürsan Fireplace is the company that makes the most comprehensive, rigorous and reliable manufacturing of fireplace in Turkey. The largest and most advanced production facility in Turkey, Hürsan fireplace factory is an integrated facility that consists of foundry, forge, marble workshop, carpenter and paint shop,and makes manufacturing under one roof.This manufacturing which is completely made under control of our qualified and expert staff and in light of 39 years of experience provided us to create the largest product range in the field of fireplace in Turkey and Europe. 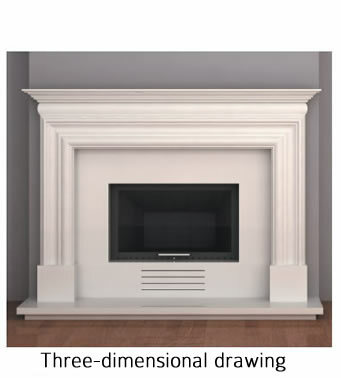 Hürsan Fireplace product range includes 139 types inserts, more than 800 marble, granite, natural stone, wooden fireplace model, new generation ethanol fireplaces without chimney, portable - fixed barbecues, wooden grids, visors, fireplace sets and wood containers. 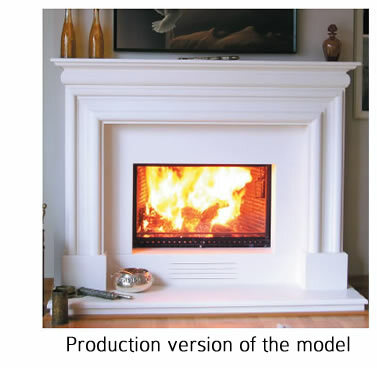 High quality products that will compete with products of Europe's leading fireplace companies has revealed upon making all production at the same facility from smallest fireplace accessories to biggest fireplace model, and avoiding the subcontracted works and avoiding to leave under control of others. 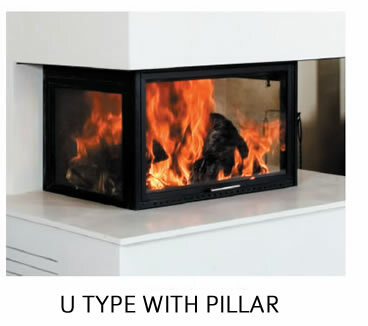 Nowadays, Hürsan Fireplace products have reached high quality standards, and products of many other brands sold in our country cannot hold candle to quality of Hürsan Fireplace products ; and Hürsan Fireplace raises standards each passing day with support of developing technology. 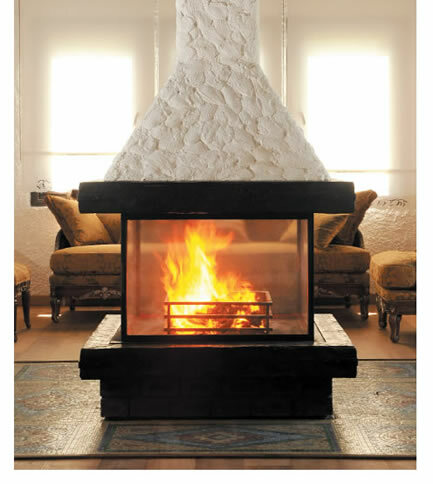 Hürsan Fireplace products are preferred by fireplace lovers and offered for sale at 60 different sales points throughout Turkey and in 12 countries at abroad. 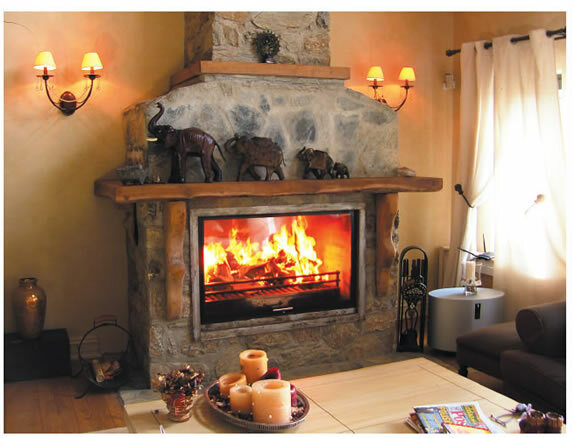 Among the countries, we export to France, where the fireplace industry is the most advanced and wide; and acceptance of our products in this country and offering for sale at the same market among many worldwide fireplace company show at which level is our quality standards in our production. Besides production of our present models, production is realized after a detailed architectural design and engineering work in any style designed or just dreamed by customers who want to create their own model. 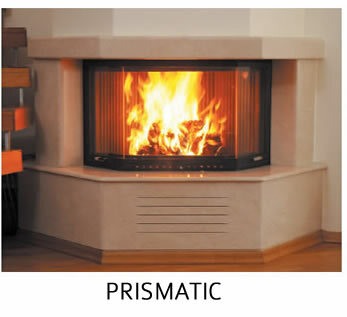 Hürsan Fireplace produces 139 type fireplace inserts in categories of glass, open system, casting and brick. Starting with 60 cm width, our models continues to 200 cm width; and offers wide option in different formats. Heating capacity of interior inserts varies in between values of 8 KW - 20 KW. 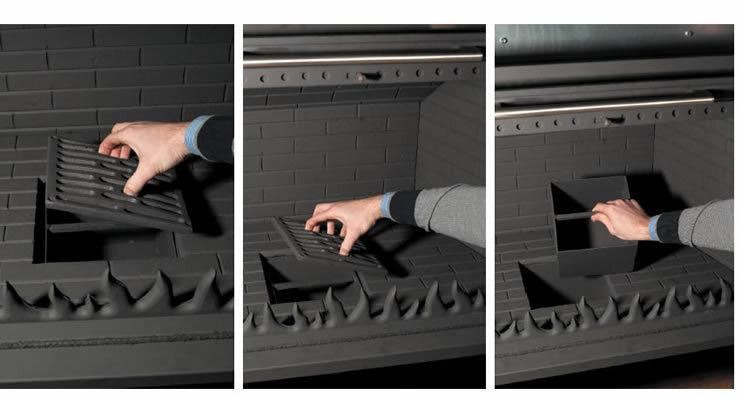 Hürsan Fireplace inserts provides the place to reach the desired heat values from minimum 50 m² to 200 m² areas even they are used as one heating unit. 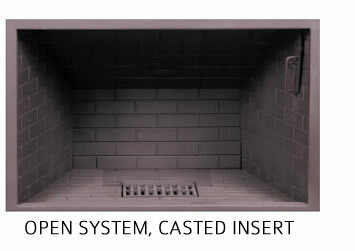 Castings used in our inserts are 1st class cast iron in 14 mm thickness. 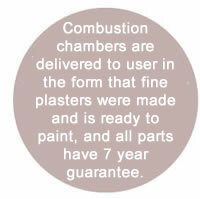 They do not carry the risk of cracking, puncture and deforming in high temperatures. 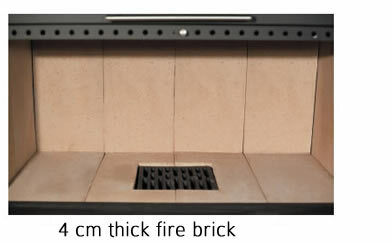 In our inserts with brick, 4 cm thick, special production, 1st class refractory fire bricks are used. Mounted with interconnection system without using any chamotte or similar adhesives, our bricks do not carry risk of cracking the adhesives in high temperatures and leaving bricks. Our productions of elevator glass shutter system inserts which is currently most preferred insert model stands out with perfect design of shutter working inside telescopic rail systems. Our elevator glass shutter systems can be easily moved upwards and downwards with one finger, and does not have any opening at any level and works quitely, and they are also opened to sides. 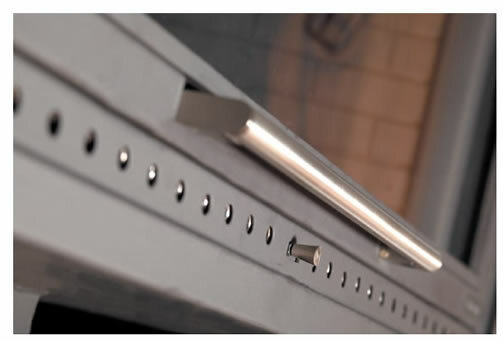 Thanks to air adjusting sliders at the glass insert shutters, you can control oxygen amount which enters inside, and you can decide speed of combustion. 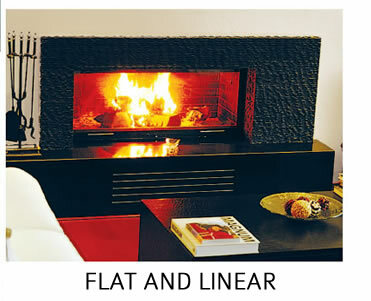 This provides you to use your fireplace as a real heating unit. 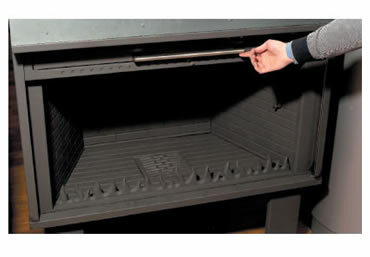 It is possible to reach duration of combustion up to 6 hours without need to supply after first wood supply at combustions at low temperature. All accessories over the shutter is aluminium. Glasses we use at our inserts are the glasses which are produced by world's number one glass producer German Schott company, resistant to 800°C temperature and thermal shocks, do not make cracking and break from differences of heat -cold, transmits heat, are vitro ceramic. 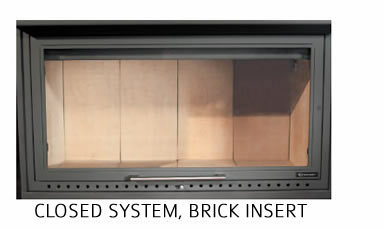 The isolation of our shutter system is made with imported incombustible wicks. 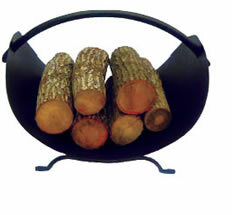 The flush ash buckets at insert bottoms provides you to make cleaning of fireplace easily. 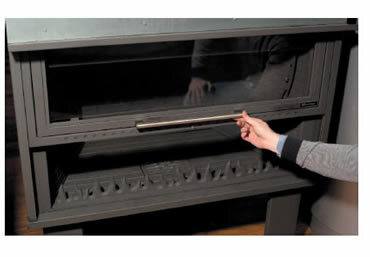 The protective panel avoiding contact of burning wood with glass in the form of flame is not fixed; it can be removed when desired. icreases heat reflection at ceiling section of inserts and there are 3 different (closed, half open, full open) mechanical flue gas damper. Our insert types are flat and deep, flat and linear, L-type, U type, prismatic, two-way forms and all our products has 7 year guarantee. side walls of models without pillar. also be opened to sides. Materials used in combustion chamber applied on the insert you choose creates important point in desired efficiency of your fireplace. 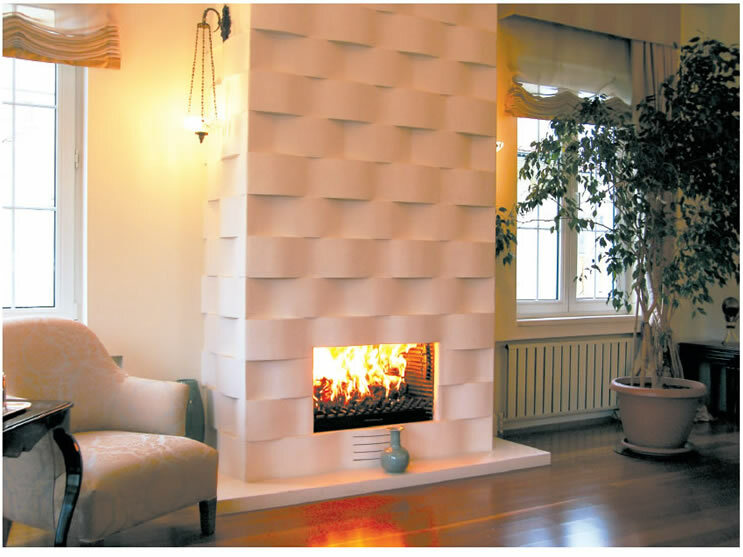 Hürsan Fireplace products consists of red fireproof plasterboard over frame mesh with box profiles at the points that cannot carry weight of combustion chamber and gas concrete at the points carrying weight (such as plasma TV). Import Paroc brand, 110 density, rockwools with aluminium folio plate are used in isolation of our combustion chambers. High density of rockwools are the important points. Low density rockwools deforms at high temperature and cannot function. Connection between rockwool plates are made with heat resistant, Paroc brand, folio tapes. Cold air entrance grids from two sides and hot air discharge grids from upper middle or two sides suitable for heating capacity of insert are placed over combustion chamber. High heat produced by your insert discharges combustion chamber walls without inconvenient condition and provides place to warm. 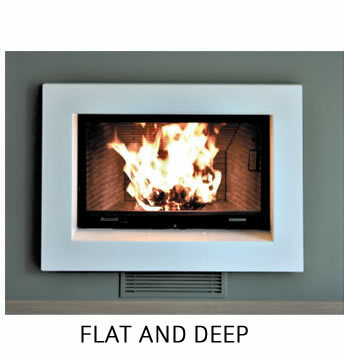 User get warm without exposed to any direct heat, with hot air blowing from upper part and enjoy the fireplace as much long as user desires. 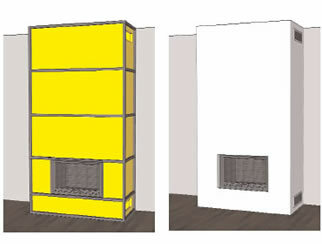 It is possible to make heat transfer to other rooms at sections where fireplace is placed or at upper sections with 316 L quality stainless steel heat carrier pipes. 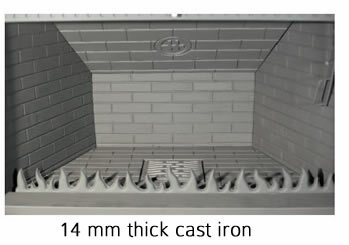 Hürsan Fireplace uses stainless steel, flexible, up to 900ºC high temperature resistant, incombustible pipes at chimney connections. Pure metals are produced with folding and combining 316 L quality stainless steel stripes; and our sealant chimney pipes has ability to bend, twist and strech. In addition we use double wall, fixed module, stainless steel chimney pipes at outdoor and points where isolation is needed. Our pipes with 316 quality stainless steel inner wall and 304 quality stainless steel outer wall is insulated with rabizt wire rock wool in 50 mm thickness. 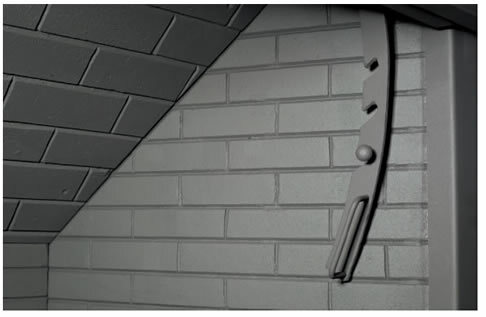 Connection points are covered with high temperature resistant silicone, and sealant double wall stainless steel chminey systems are designed in the form that it can compensate temperature strains. Because system inner parts and walls are stainless steel, it is high resistant and long lasting. It has low thermal conductivity with double wall. Because heat of flue gas passing through system cannot transmit to the outer environment , combustion is low and chimney efficiency is high. 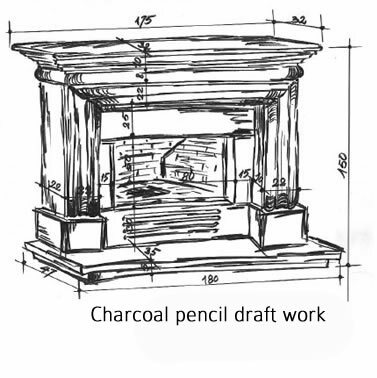 Most important feature of our chimney caps are that it has 45° inclined protected bladed parts 100% preventing chimney to move backwards and entering rain water inside chimney. It has 3 coat protection blade. 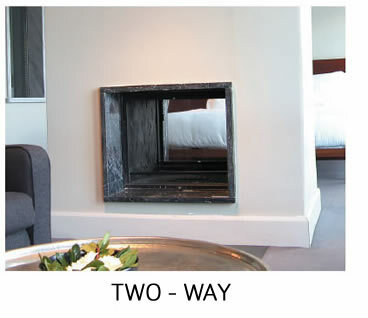 You cannot prevent chimney to move backwards at weather having adverse winds, such as southwest wind - northeast wind in regardless of chimney cap type, local or import. 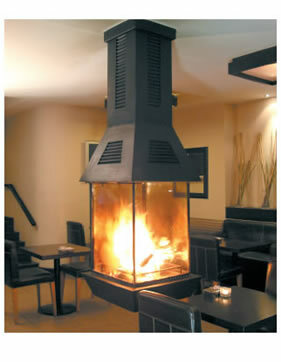 Your fireplace can smoke or low efficiency. 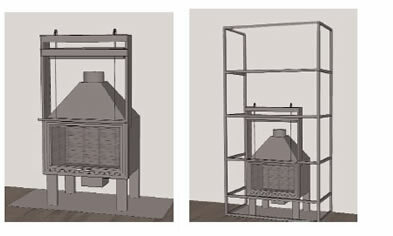 Our design, Hürsan China Type chimney caps has 50% more efficiency in comparison to similar chimney caps. 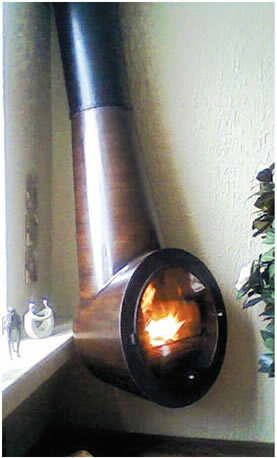 Our chimney caps is produced from complete steel material. It is covered with electrostatic powder paint preventing rust. Color can be applied in desired paint code. Its assembling is so practical; it has 20 cm part placing outer part of chimney. 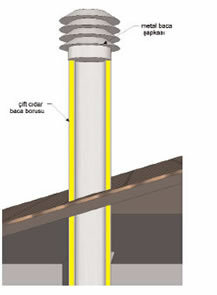 Cap is placed on chimney and they are screwed fixed on your chimney. 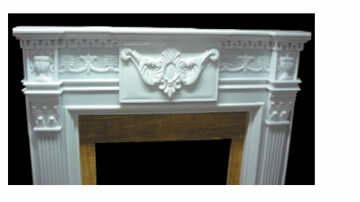 Hürsan Fireplace is produced from marble, granite, natural stone, wood and similar materials and it is in style of modern, domi-classic, classic, rustic, and it has 800 type decorations. 1st class materials taken from Turkey's leading mines and import suppliers are processed in presence of our expert staff with opportunities of wide machinery park; and we offer perfect products to user. 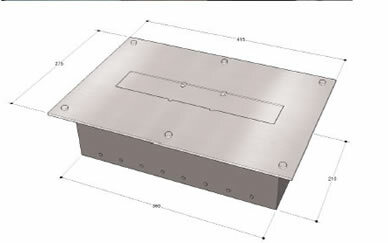 Besides our product range, special design application of our customers are produced in any form with 3 dimensional modeling of our architects and after approval of user. 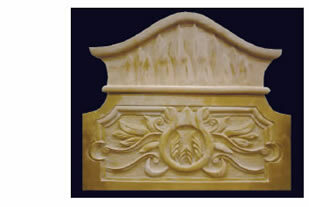 DOur decoration models varies marble, granite, natural stone and wood colors upon request of customer. The handcraft decorations you see at local and foreign catalogs, magazines, internet site are mainly or completely hand craft or 90% ended with pantograph machines and remaining 10% hand-craft. 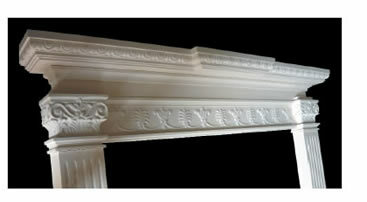 Hürsan 'Hand-craft Fireplace Decorations' are produced with 100% hand labor. 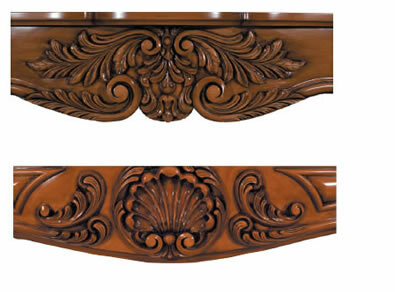 All products are offered for you and after your confirmation, we come to your house for assembling. Same motives processed to linden tree and white Afyon marble..
Models you choose from Hürsan product range or you design are drawn by our architects in 3D and offered for you with the form mounted on your house. The confirmed model is drawn on material selected by our technical draftsman (material - natural stone - wood) with black pencil. 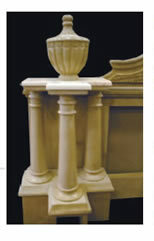 And our hand-craft experts applied this model to marble, stone or wood you preferred. Mainly preferred materials for hand-crafts: linden tree, Bursa beige marble, Afyon white marble, Uşak white marble, and white Limra stone. 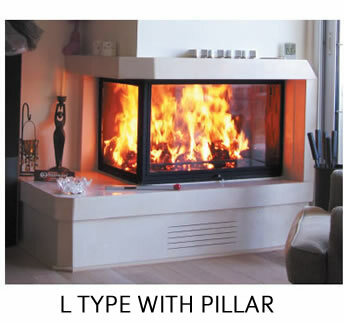 Hürsan Central Fireplaces can warm up areas between 100 m2 and 200 m2 according to the capacity of model. It has two different assembling option as fixed to ground and suspended at air. 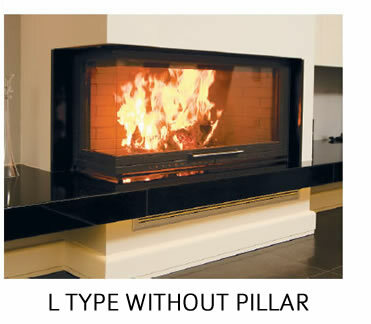 •800°C high heat and fire resistant, German Schott brand, vitroceramic glasses are used in our central fireplaces; there are two options of shutter as elevator and side opening glass shutter system. 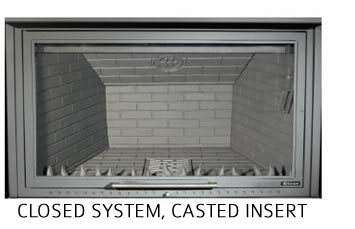 •It is produced with 2 different combustion chamber options from cast iron or first class fire bricks in accordance with EU norms. 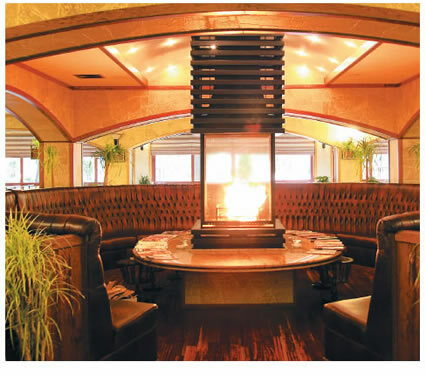 •All central fireplace models have double wall steel frame, cold air entrance - hot air exit grid, smoke collector hood, ash bucket, mechanical cowl, and combustion speed adusting slider. 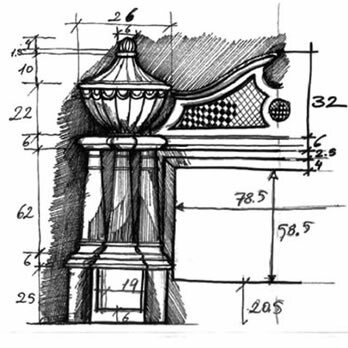 •There is opportunity to make production in special and desired design and size. 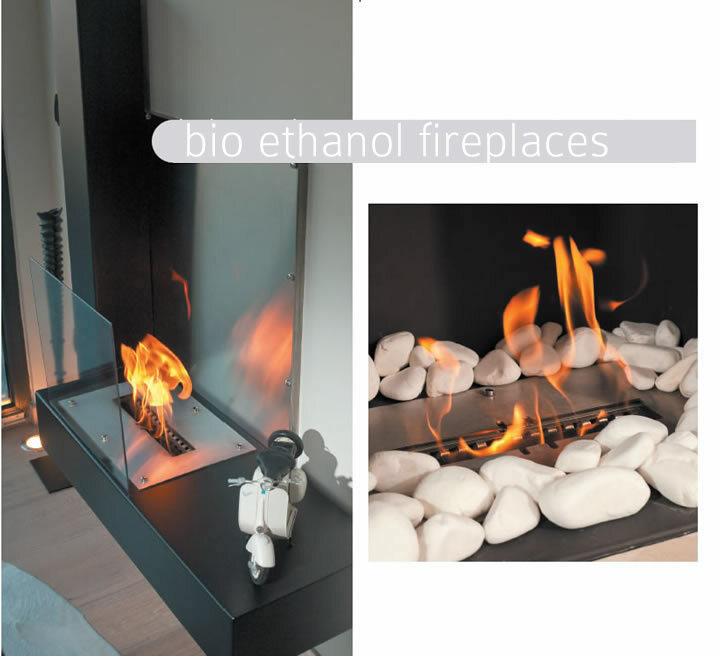 Fireplaces which burns with liquid fuel 'bio - ethanol', do not need chimney, odorless and smoke-free fireplaces are produced in various sized and model alternatives. 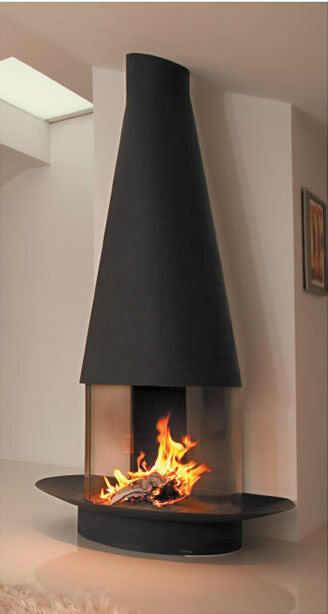 It is also possible to buy only boiler of ethanol fireplaces from Hürsan Fireplace! 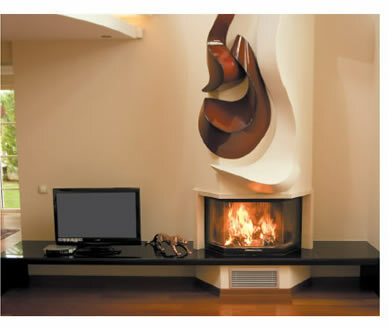 The customized model designs are also made at 'bio - ethanol' new generation fireplaces like at other fireplaces. 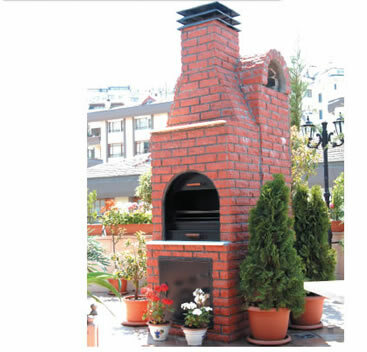 Hürsan Fireplace is only company to make production in Turkey in this respect. 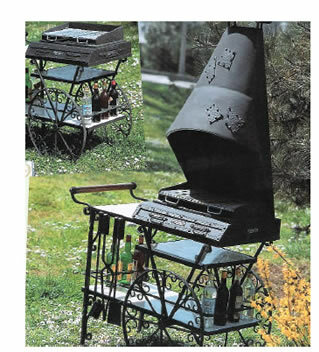 Hürsan Fireplace barbecue product range has 30 different design consisting of cast combustion insert, hand forging of wrought iron, copper embroidered on request, fixed, balcony, garden and kitchen barbecues and wheeled portable barbecue. Production of customized designs to our customers are made in barbecue field and all our products have 7 year guarantee. 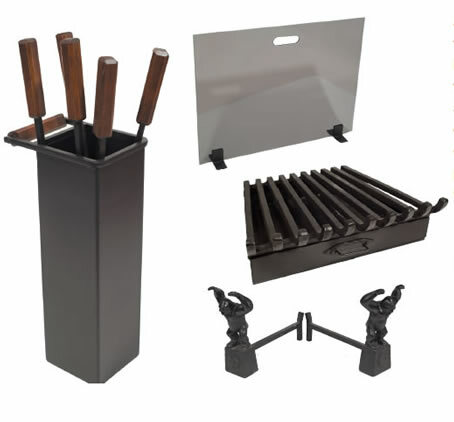 Fireplace accessories includes more than 100 model including wrought iron, brass and bronze tongs, shovel sets; oval, round, square, rectangle, and a basket-style wood containers, wood grids cast from brass, wrought iron, glass front visors, bellows, and cooking sets. 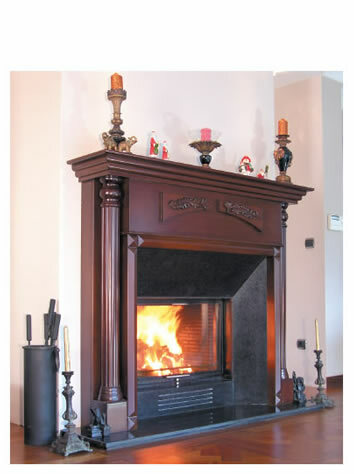 Hürsan Fireplace gives free service to everyone who wants to get information about firewall and to make exploration at his/her property. 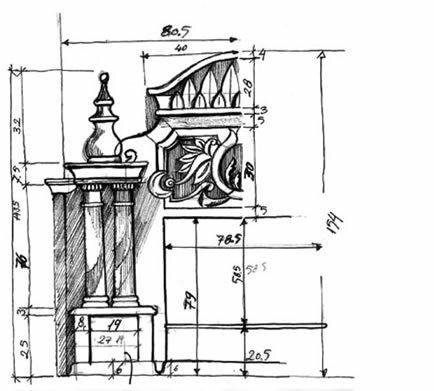 After exploration, the model or models you desire are presented to you with 3 dimensional drawing of our architects and we try to fulfill your decision making stage in easiest and problem-free manner. If you demand service in any subject related to your fireplace without any time limitaition, our expert service teams meet your demands within week you demand.